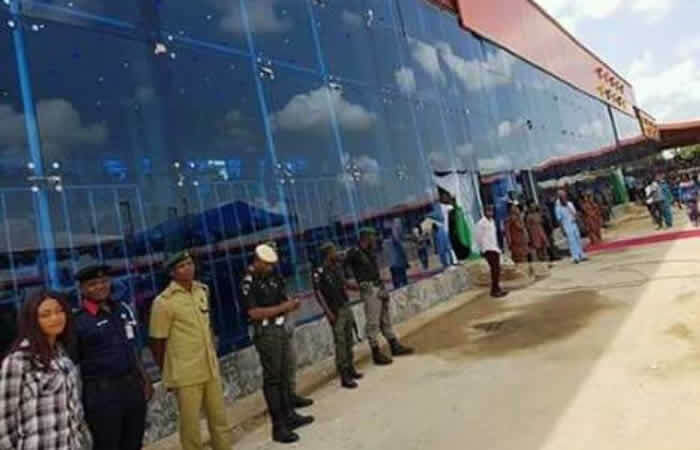 Ebonyi State Governor, David Umahi, has barred members of the All Progressives Congress, Ebonyi State Chapter, from using the Abakaliki Township Stadium as venue of its rally scheduled to hold on Saturday. Umahi, who spoke through his Chief Press Secretary, Emmanuel Uzor, made the assertion on Thursday while addressing members of the State Chapter of the Sports Writers Association of Nigeria during a courtesy visit. He announced that the stadium was undergoing reconstruction work, including asphalting of the entire premises and installation of floodlights. proposed rally slated for Saturday. “The Abakaliki Stadium it vowed to use for the rally is still undergoing reconstruction and renovation,” the governor said. The Governor reiterated that any political activity in the stadium, especially by a particular party that is divided along different factions, will jeopardise the construction work in the stadium. “We believe in accommodating all the different voices, especially different parties in the state. “So, I want to use this opportunity to tell the faction of the APC to start looking for an alternative. It would be recalled that a faction of the APC in Ebonyi State has announced that it would hold a mega rally this weekend at the stadium to map out strategies and educate its members ahead of the forthcoming 2019 general election. Umahi returned to the state on Wednesday after a two-week investment tour of China geared towards showcasing the economic potentials of Ebonyi State and to also woo foreign investors.